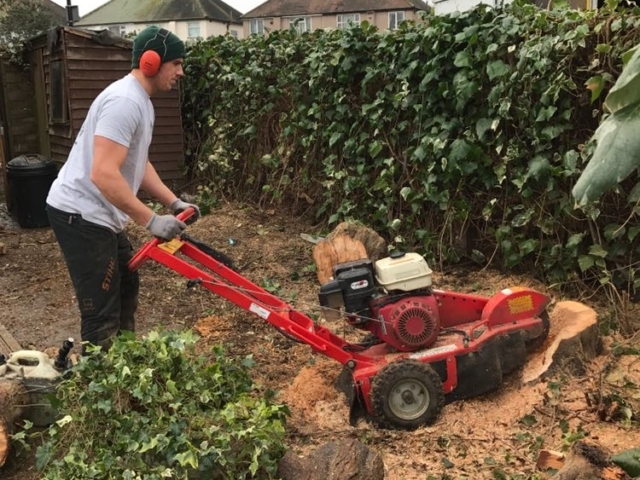 If your trees have been felled, or the previous owner of your property left tree stumps in the garden, you might want to remove the stumps to free up some space. You might be starting a landscaping project, for example, or perhaps you just want to make room for new garden features. 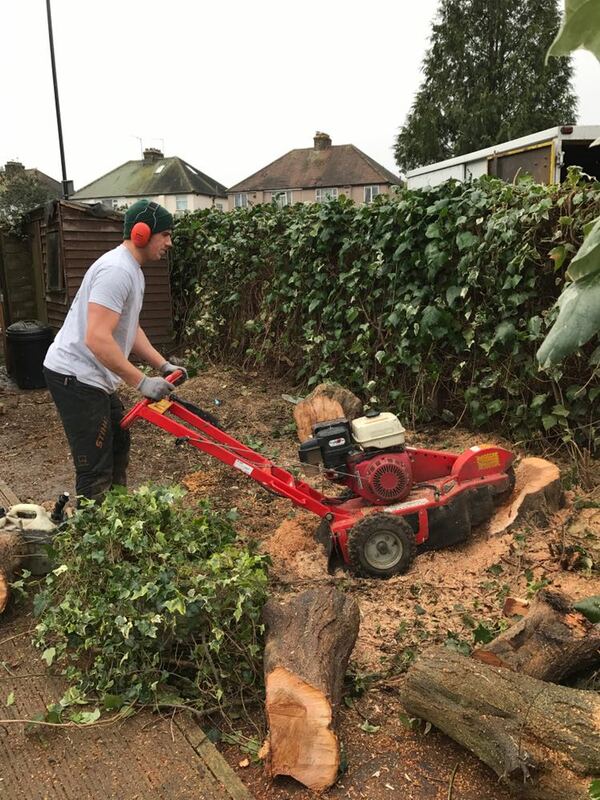 Whatever your reasons, the Fair Oaks Tree Services team has the tools, skills and experience you need to get rid of nuisance tree stumps safely, professionally and effectively. What does tree stump removal involve? There are two main ways of removing tree stumps. Either, we can chip away at the wood using a power tool with a rotating cutting disc (stump grinding), or we can apply a herbicide (ideally straight after felling) so that the freshly cut wood dies away (stump treatment). Both of these are effective methods, and each has its own unique benefits. Stump grinding is an environmentally friendly option, as it does not use chemicals to kill the stump. It has instant results, as the team physically removes the stump while onsite. 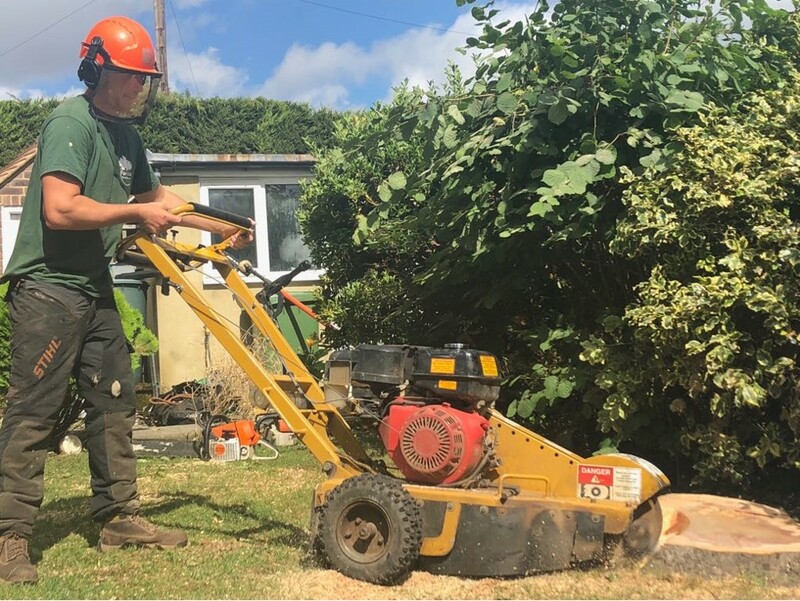 The sawdust and chippings created during the grinding process can even be used to fill the hole, leaving the area looking neat and tidy – particularly if grass is put back over the top. Stump treatment generally costs a little less than stump grinding, which makes it popular for people who don’t need to see instant results. The treatment can take up to a month to work fully, but it is certainly a reliable and effective solution for killing unwanted tree stumps. Whichever option you choose, the Fair Oaks Tree Services team will remove your tree stump safely, professionally and with as little disruption as possible to your day. 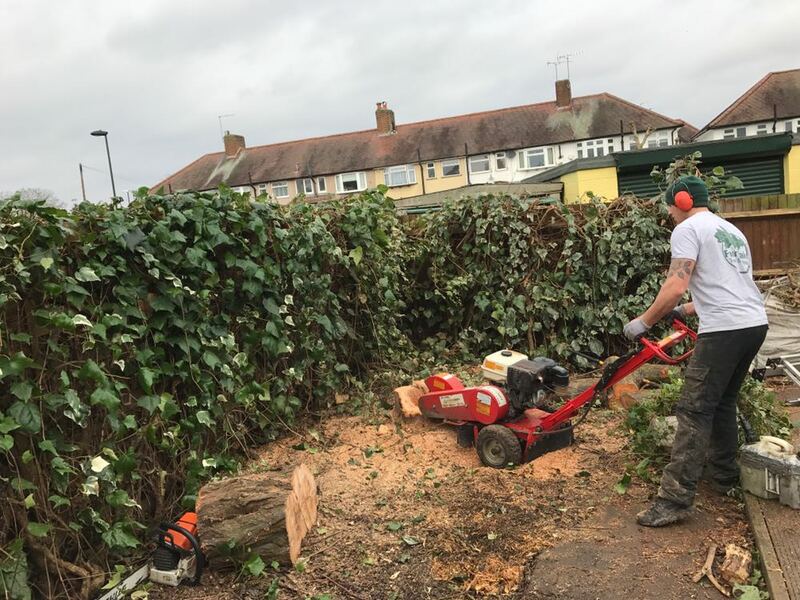 Each of our arborists is NPTC qualified, and our work comes with £5m public liability insurance, so you can rest assured that your garden or outdoor commercial space is in good hands. 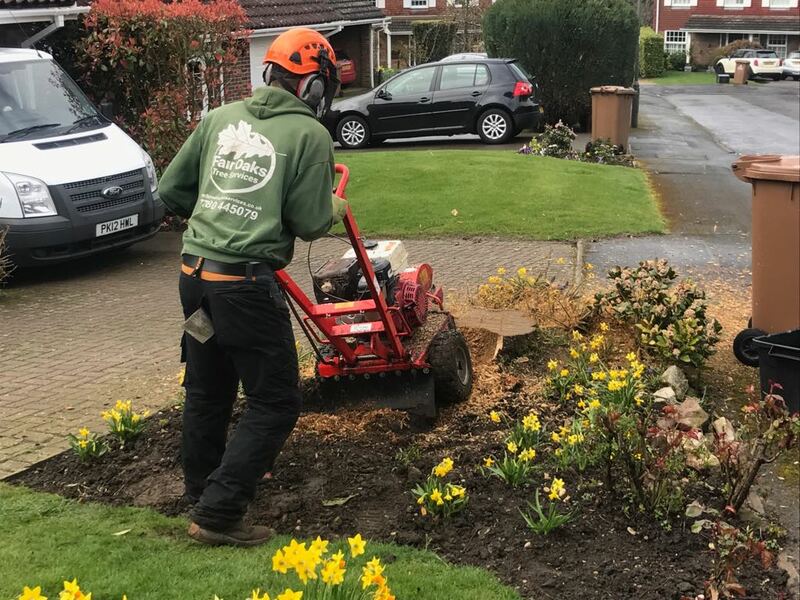 If you need a stump removed at your property in Surrey, South London or a surrounding area, contact us at Fair Oaks Tree Services today. We’re happy to talk through your options.